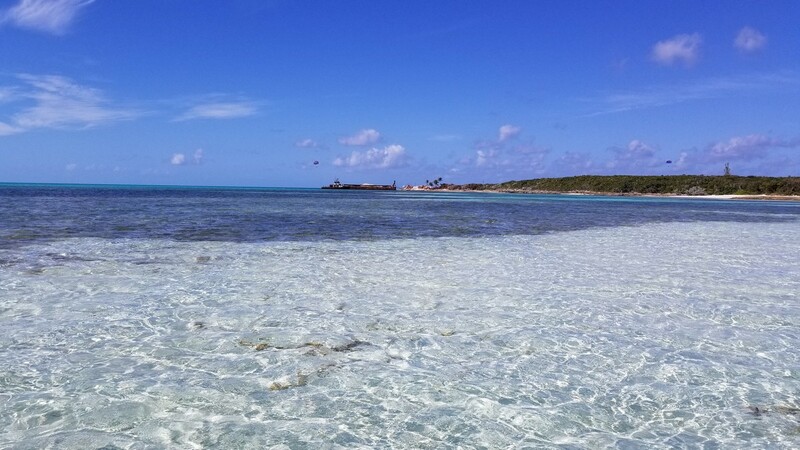 Royal Caribbean is in the midst of adding a number of improvements to its private destination of CocoCay in the Bahamas. 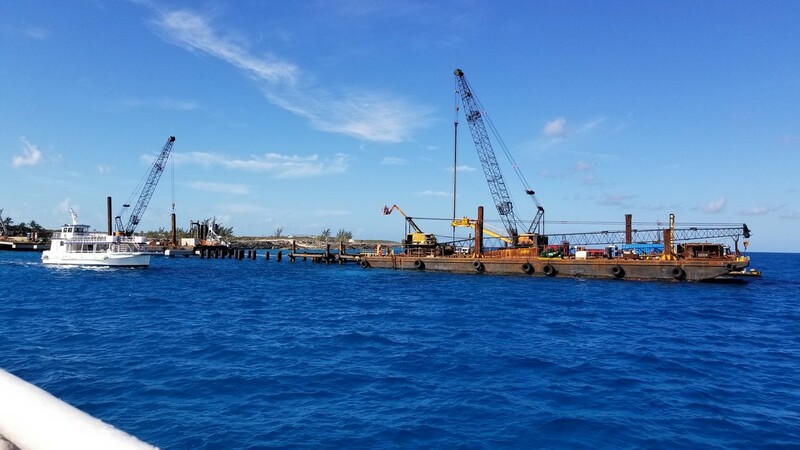 We have a recent look at the progress being made. 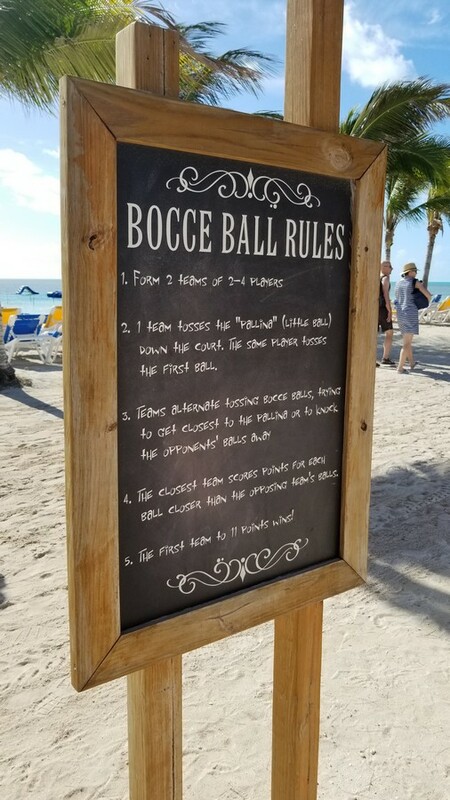 Royal Caribbean Blog reader MikeOzy15 took these photos on February 14, while on an Enchantment of the Seas cruise. 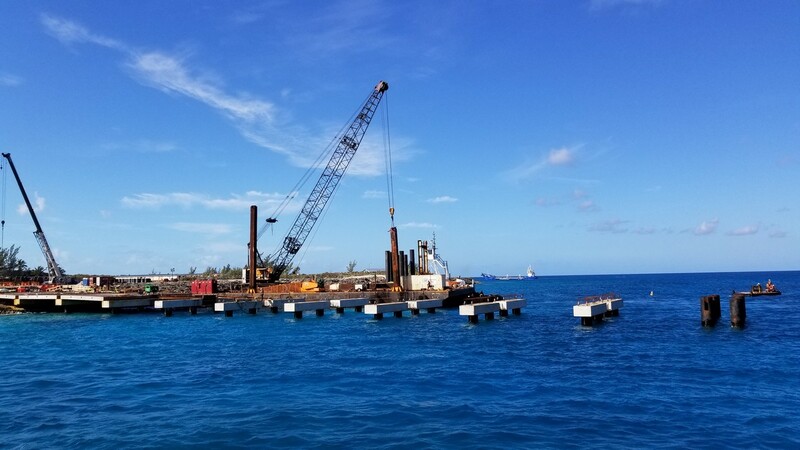 First and foremost, here is a look at the progress being made on the new dock, which is scheduled to be completed in June 2018. 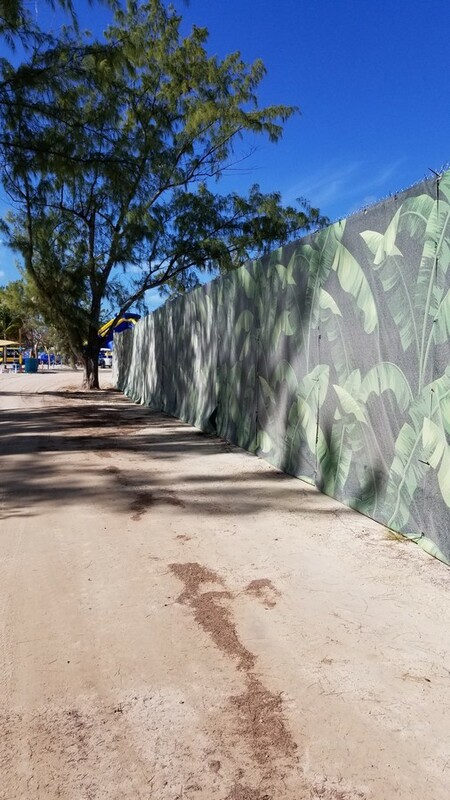 Some of the work being done in CocoCay is hidden to guests by walls. 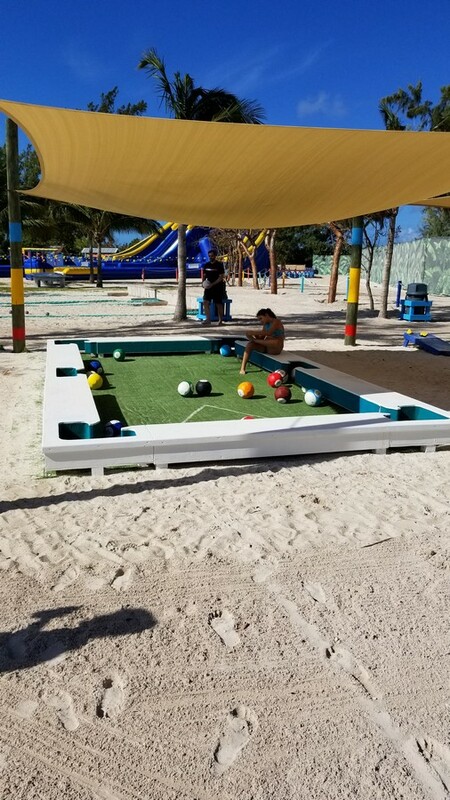 There is also a new large, "life size" pool table,bowling, bocce ball, volleyball nets and a basketball court for guests to use.